Time flies! Literally! How soon do we start noticing a sudden line or wrinkle on the face or a brand new grey hair on your scalp which suddenly looks so prominent… Before you start getting paranoid, I would suggest reading this post from start to end so that you can slow down the signs of ageing. 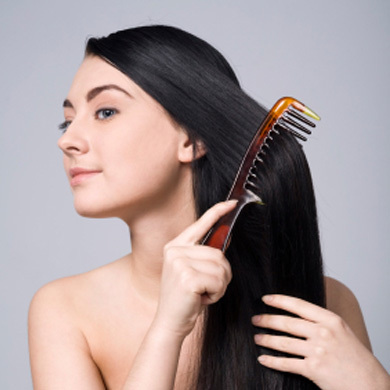 #1 Look after your hair: When it comes to looking younger, there’s no denying that your hair plays an enormous role. A head of healthy, soft, shiny hair is an instant morale booster & will make you look years younger too. Your hair should be your crowning glory but unfortunately too many women abuse & damage their hair by coloring, perming, straightening & bleaching which eventually takes a toll on the hair’s natural condition & vibrancy but with correct hair care you could have gorgeous hair. #2 Relax: It doesn’t have to be an exotic beach getaway. Create a special space in your home that is calming for you. Spend time there de-stressing from your day. Relaxation & meditation lead to a more calm existence- which leads to less stress lines on your face! #3 Exercise regularly: Keeping fit & active with regular physical exercises will do wonders for your health as well as making you look & feel better. Choose an activity that interests you like Yoga, Zumba, Pilates etc. & if possible take a friend along, you’ll enjoy it more. #4 Breathe fresh air: Oxygen is essential in keeping cells from deteriorating & aging prematurely. Low oxygen levels decrease the metabolism of cells & speed up the aging process. The result can be a tired, dull complexion. Get outside & breathe deep! #5 Remember your skin: You may be diligent when caring for your face but are you remembering the rest of you skin? Your neck, lips & hands will show your age just as easily as your face! Moisturize, wear sun screen & take supplements that will help your skin all over! #6 Stay Happy: Try to surround yourself with people who have a positive outlook. Smiling and laughing can help keep you looking & feeling younger. So you want to spend your time with friends that will make you smile & laugh, not ones that make you frown! 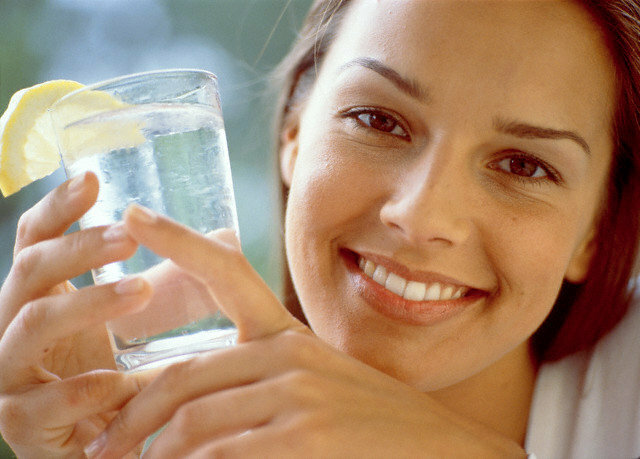 #7 Drink lemon water in the morning: Before you even have a cup of tea, make up a glass of lemon water to chase the free radicals out of your body. Free radicals cause damage to our cells & as a result, cause aging. Hi! To prevent grey hair, you should try not getting stressed, reduce your caffeine intake & double your water intake, take a multivitamin as you will need copper from it (or else take copper rich foods like pineapple, pomegranate, almonds & blackberries), have foods rich in iodine like carrots & spinach, get atleast 8 hrs of sleep every night, eat foods rich in B12 like eggs, cheese, bananas, fish. To improve blood circulation, exercise regularly. My grandmom used to say that you should eat the curry leaves we add in the food as it would keep grey hair at bay 🙂 Try doing that too.